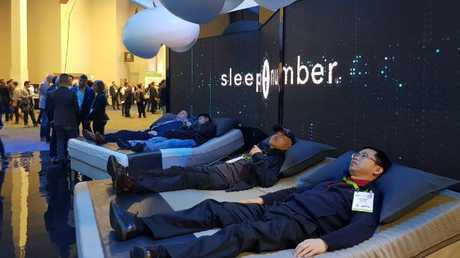 AWAY from the tech giant's booths, there's an untapped market of amazing inventions by start-ups in the Eureka Park Marketplace at CES. Ditch your best friend, Buddy the entertainment and assistant robot is the cutest mate you'll have. The little bot with blinking blue eyes is programmed to be the best friend of all family members, turning on lights, serving up recipes and reading the weather as well as playing games like hide n seek and taking selfies that it'll publish straight to Twitter. 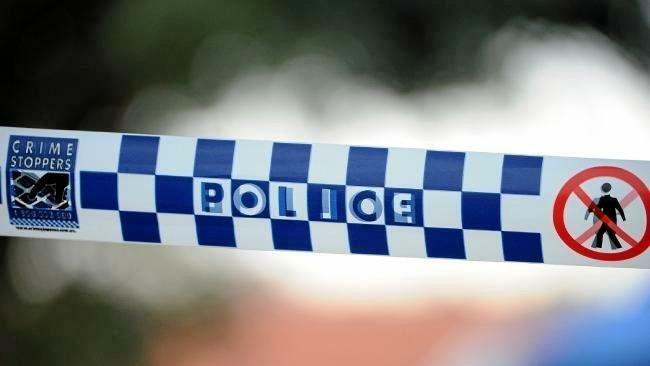 It also goes into 'security mode' and patrols the house while the occupants are out, notifying users if it detects any sound. 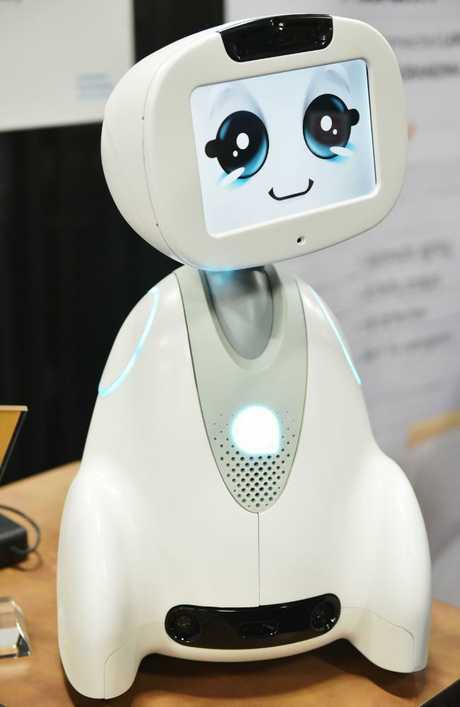 Buddy by Blue Frog Robotics will hit the market in September for $US1,299. Have a dingy room without a window and no idea what the weather looks like outside? 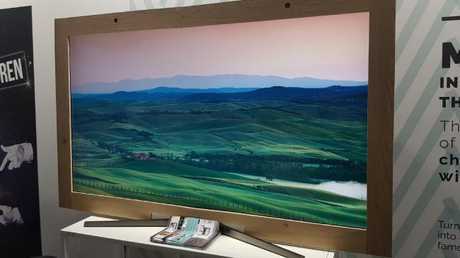 French company Wintual has created a system that turns a TV into a window by streaming a view in real time. Users can choose to set up a camera on their roof and stream a familiar view or opt for iconic outlooks like the San Francisco Bay. It also features sensors that automatically move the view closer as you approach the 'window'. The kits cost $US1,500 and the full frame plus kit costs $US6,000. Don't worry about running out of charge while travelling. 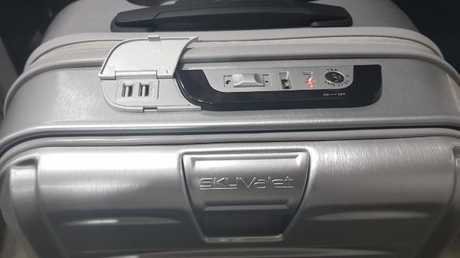 The Sky Valet carry-on luggage features a wireless charger, 2 USB ports, built in scale, Bluetooth lock and magnetic front pocket to avoid having to open the main case. This new product will be available in March for $US600. 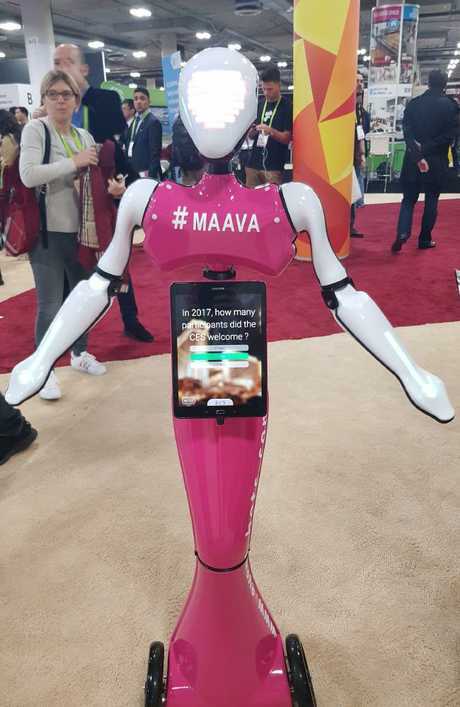 Who knew robots could look gorgeous but these 'Event Bots' that welcome guests and roam across the floor have a #girlcrush vibe about them. The robots use facial recognition to say hello when people approach and offer a host of information including programs, surveys, floor plans, quizzes and badge scanning. They even offer a 'selfie' function. We all love drones and we all love virtual reality. 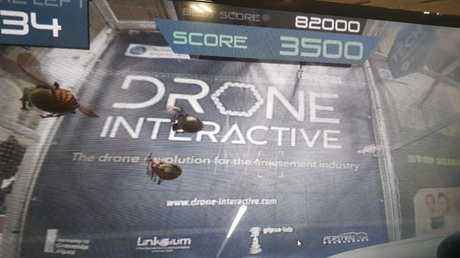 Now Drone Interactive has created the ultimate game that could roll out into Gold Coast theme parks. 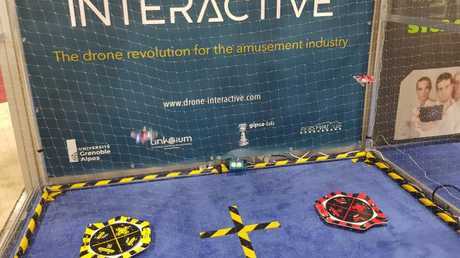 The user controls a drone via remote control and straps on a Virtual Reality headset that takes them inside the machine. All of a sudden, they're under attack from bugs and must shoot them down using the drone. It is the MOST fun. Don't buy traditional postcards and then forget to send them. 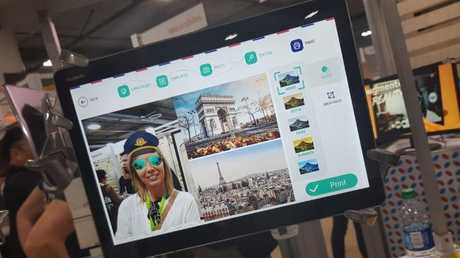 Post Mii has revived the postcard industry by creating carts for tourist hot spots that allow guests to take a selfie at their holiday spot, add it to a custom template and print on the spot. Post Mii has an on-board letterbox and will post the postcards at the end of each day. Sleep number has released the 360 Smart Bed that senses heart rate, breathing and changes the firmness and support levels as required. The bed senses snoring before you do, propping up the sleeper. In the morning, you'll see biometrics from the night that also includes how much you tossed and turned. The top of the range bed costs $US10,500. Live in an apartment and would love to grow your own vegetables? 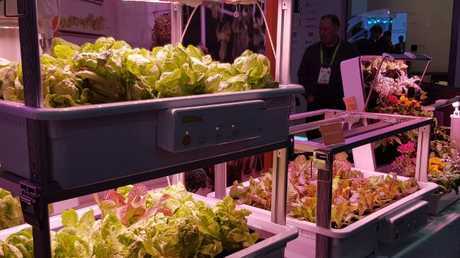 Grow Pods enables people to grow a garden using small hydroponic systems. It's a robotic mannequin that could help clothes fit you better. 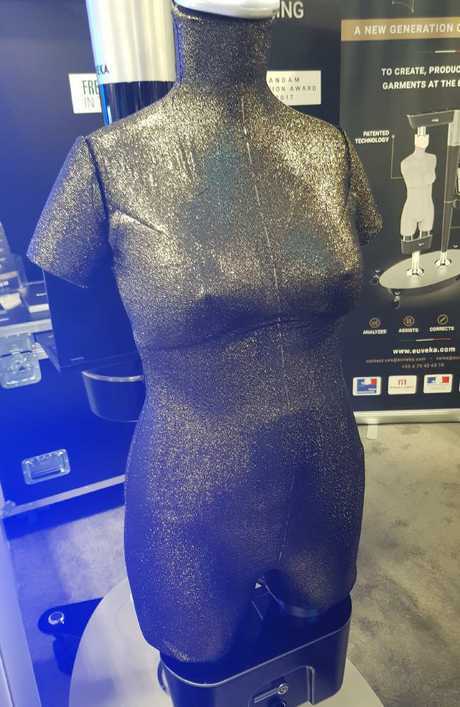 The Euveka mannequin morphs from extra small to extra large sizes and also adds weight around the waistline and back to match the shape of older women. The French maker Audrey-Laure Bergenthal won a CES innovation award and says it will revolutionise how fashion houses produce their collections, saving wastage on countless prototypes and potentially increasing the size range on offer.